The Flying Tigers, the search for MH370 four years after its disappearance, a newly designated national aviation museum, flight training in the F-104 Starfighter, slow acceptance of ADS-B, and the selection of the new FAA administrator. 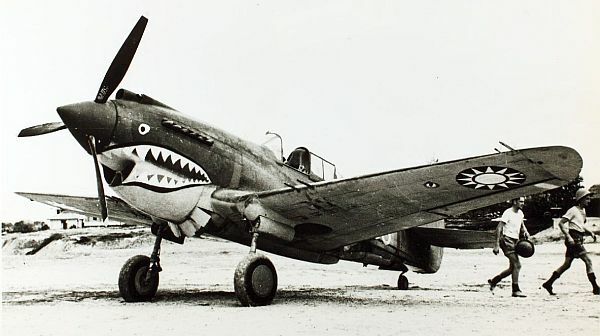 Curtiss P-40C Flying Tiger. Courtesy San Diego Air and Space Museum Archive. Charlene Fontaine is the founder and executive director of the Flying Tigers 69th DRS Association, Inc. She is an advocate and speaker for veterans, youth, and trauma victims. Charlene speaks at air shows, conferences, schools, and reunions to inspire youth to learn history and to honor our elders and all those who serve our country. Started in 2005, the nonprofit Flying Tigers 69th DRS Association carries forward the legacy and history of the Depot Repair Squadron as well as all Flying Tigers. 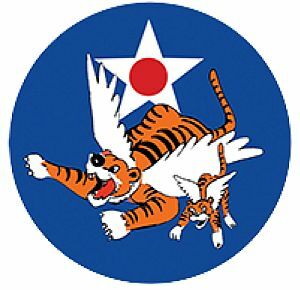 We talk about the history of the Flying Tigers, including the clandestine formation of the American Volunteer Group (the “AVG”) – the 100 pilots and almost 300 ground crew who went off to war under a one-year contract. Charlene tells us about the formation of the 14th Air Force after the contract, and we learn about the iconic shark’s teeth and where we find them on other aircraft. Charlene loves all things that fly, starting with kites and the gyroscope that was given to her at age four by her father. 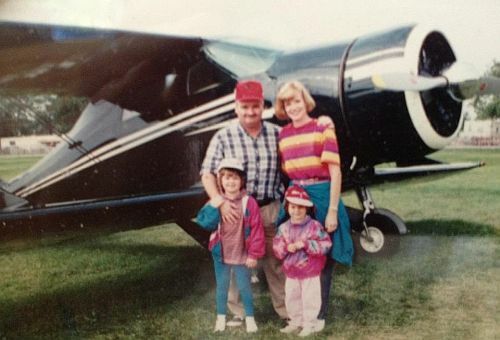 She flew in a plane at 15, and her college years were spent with open cockpit planes, helicopters, and hot air balloons. 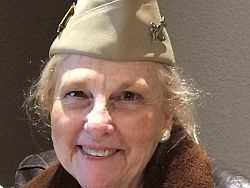 Charlene developed a deep desire to learn about her father’s adventures designing airplanes, repairing them, and being a crew chief during WWII. Having consulted internationally for over 30 years, Charlene’s clients include a wide variety of corporate industries ranging from the military to medical, manufacturing, law enforcement, and non-profits. Working with CEO’s and senior management, Charlene developed projects, teams, and programs that align the organization with their customers’ needs and range from customer service, change management, conflict resolution, creativity, productivity, sales and total quality management. Charlene has authored a number of books, and speaks at schools, military bases, civic organizations, and air shows sharing the history and stories of the Flying Tigers and CBI Veterans as well as representing them in China. She has film industry experience and “The Forgotten War: China, Burma, India” is currently in production. The Forgotten War: CBI Promo. Visit the Flying Tigers 69th DRS Association website and find them on Facebook. March 8, 2018, is the 4-year anniversary of the disappearance of MH370, carrying 239 people from Kuala Lumpur to Beijing in 2014. The search by Australia, China, and Malaysia ended in January 2017 at a cost of around US$160 million. In January 2018, Malaysia agreed to pay the U.S. firm Ocean Infinity up to US$70 million if it found the plane within 90 search days. The Seabed Constructor vessel started searching on Jan 23. The Museum of World War II Aviation in Colorado Springs has been designated by Congress as a national aviation museum. Accepting the designation on behalf of the museum was 96 year old retired Air Force Col. Clarence “Bud” Anderson. 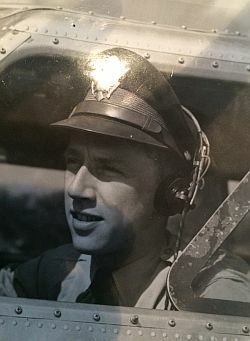 Bud flew a P-51 Mustang in World War II, and his plane, “Old Crow,” was flown in as a surprise from the National Warbird Hall of Fame in OshKosh. National Helicopter Museum, Stratford, Connecticut. National Naval Aviation Museum, Pensacola, Florida. National Museum of Commercial Aviation, Forest Park, Georgia. National Model Aviation Museum, Muncie, Indiana. National World War II Museum, New Orleans, Louisiana. National Airline History Museum, Kansas City, Missouri. National Soaring Museum, Elmira, New York. Wright Brothers National Memorial, Kitty Hawk, North Carolina. Dayton Aviation Heritage National Historical Park, Dayton, Ohio. National Museum of the United States Air Force, Dayton, Ohio. National Aviation Hall of Fame, Dayton, Ohio. National Air and Space Museum, Steven F. Udvar-Hazy Center, Chantilly, Virginia, and Washington, D.C.
National Museum of the Marine Corps, Triangle, Virginia. A new civilian training program for licensed pilots is offered by Starfighters Aerospace with a fleet of Mach 2+ Lockheed F-104 Starfighters at NASA’s Kennedy Shuttle Landing Facility. The training ranges from three to ten days, depending on the pilot, and is authorized by a Letter of Deviation Authority (LODA) issued to Starfighters by the FAA. FAA associate administrator for Aviation Safety Ali Bahrami testified before the U.S. House of Representatives Transportation and Infrastructure’s subcommittee on aviation. He told the subcommittee that the ADS-B system is fully operational, but its use is limited because the airlines don’t have the onboard equipment required. Also testifying were representatives from the NTSB, NASA, ALPA, and the DOT’s Office of Inspector General. They talked about drone regulations, pilot shortages, and privatizing ATC. Bill Shuster (R-Pennsylvania), chairman of the House Transportation and Infrastructure Committee, announced after the hearing that the provision to privatize ATC would be dropped from the reauthorization legislation, HR 2997. Writing in Forbes, past guest Christine Negroni writes that President Trump does his [private pilot Capt. John Dunkin] no service by putting him forward as a candidate to lead the Federal Aviation Administration. Find the process for appointing the FAA Administrator in Title 49 U.S. Code § 106 – Federal Aviation Administration. Airplane Geeks Reporter-at-Large Launchpad Marzari has a little fun with the phonetic alphabet. Listener Ron took a ride in a gyroplane for his birthday and created a short adventure report for us. 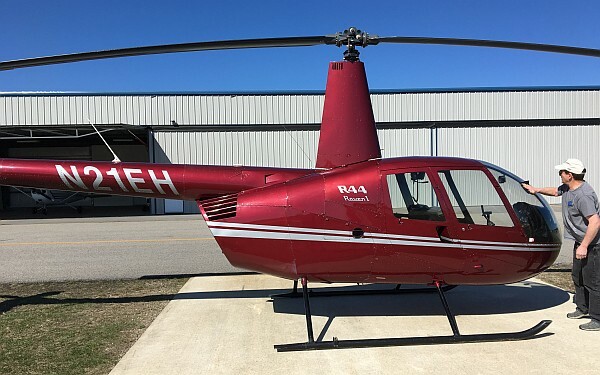 This entry was posted in Episodes and tagged ADS-B, Aviation museum, F-104, FAA, Flying Tigers, gyrocopter, MH370, United Airlines on March 7, 2018 by maxflight. We talk with an Airbus A350 captain who has a long history flying commercial aircraft. In the news, we consider one-person flight crews, U.S. airlines looking to scale back consumer protection regulations, ADS-B vulnerabilities for military aircraft, and largest ever Piper order for training planes, plans for the Air Force bomber fleet, and Southwest runs out of glycol. We also have a conversation about ATIS with the Chief of the Air Traffic Control Division at Robert Gray Army Airfield. Malaysia Airlines A350. Photo by H Gousse, courtesy Airbus. Airbus A350 Captain Bill Palmer. Bill Palmer is an A350 captain and an instructor pilot/check airman. He has been heavily involved in Airbus training since the early 1990’s, and Bill is the author of Understanding Air France 447 and other publications on Airbus flight control laws. Bill also holds a commercial glider rating and flies his Rolladen-Schneider LS-3 for fun in southern California. Bill describes the transition to the A350 as like going from DOS to Windows. The aircraft shares some commonality with A380, and Bill describes fly-by-wire and the flight control laws. We also hear about other features of the A350, such as the paperless cockpit implementation and the availability airport runway, taxiway, and gate information to pilot. The plane will calculate landing distance and brake to the correct speed for the selected taxiway. Bill also describes the A350 runway overrun protection and the auto-flight system’s automatic TCAS and wind shear recovery. Bill started flying at the age of 15, soloed on his 16th birthday and completed his private certificate at 17. He attended Embry-Riddle Aeronautical University and holds a BS in Aeronautical Science. 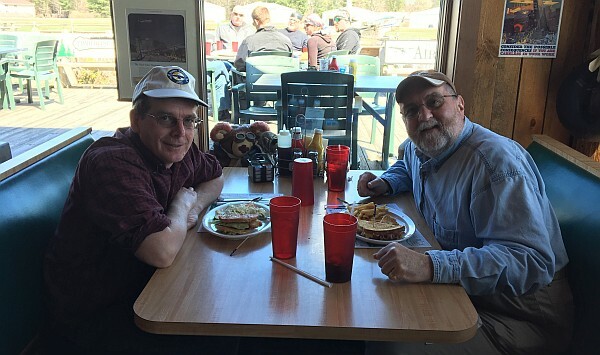 He earned his flight instructor certificate in 1978 and has been instructing almost non-stop since then while holding airplane, instrument, multi-engine, and ground instructor certificates. Besides light aircraft he has also taught on the 727, 757, A320, DC-10, and A330, and written manuals for the DC-10, A330, and B-787 fleets. He has also produced numerous training publications and videos for the various fleets as well. Visit Bill’s webpage Understanding Air France 447 and his Trend Vector blog. His books Understanding Air France 447, Airbus A330 Normal Law: Putting fly-by-wire into perspective, and Airbus Flight Control Laws: The Reconfiguration Laws are available on Amazon.com and at other retailers. At the Singapore Airshow, Boeing research and technology vice-president Charles Toups said, “We are studying [one pilot operations], and where you will first see that is probably in cargo transport, so the passenger question is off the table.” Also at the Singapore Air Show, ST Aerospace showed the concept for an unmanned freighter piloted by an artificially intelligent computer. ST Aero was optimistic about an unmanned freighter within the next five years. Airlines seeking to snuff traveler rights? In the Wall Street Journal, Scott McCartney reports that last October the U.S. Department of Transportation asked airlines to suggest changes or cuts to regulations. Airlines for America filed 222 pages of comments. United Airlines added 50 pages. A 45-page Government Accountability Office report titled Urgent Need for DOD and FAA to Address Risks and Improve Planning for Technology That Tracks Military Aircraft [PDF] says that neither the Department of Defense nor the FAA has taken significant steps to mitigate security risks associated with openly transmitting flight data from military aircraft. Chinese Fanmei Aviation Technologies has ordered 152 training aircraft from Piper Aircraft. Fanmei is Piper’s dealer in China, and a subsidiary of Sichuan Fan-Mei Education Group Co., which provides aviation education in China. 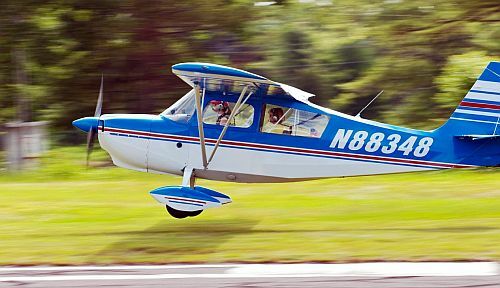 This is reported to be the largest single order for training airplanes in Piper’s history. The seven-year purchase agreement is valued at $74 million and includes 100 Archer TX single-engine trainers, 50 twin-engine Seminoles, one Seneca twin, and one Piper M350. In its Fiscal Year 2019 Budget Request, the Air Force outlined plans for its bomber fleet, which include a plan to update the B-52 Stratofortress fleet, continue modifications to the B-1 Lancer and B-2 Spirit fleets, while continuing to acquire B-21 Raiders. Southwest Airlines had to cancel more than 250 flights from Midway Airport after running out of de-icing fluid. One of the glycol tank pumps wasn’t working properly and some of the de-icing fluid could not be accessed. Reporter-at-Large Launchpad Marzari talks about ATIS (automatic terminal information service) with Mark N. Vick, Chief, Air Traffic Control Division, Directorate of Aviation Operations at Robert Gray Army Airfield, Fort Hood Texas, a military joint-use airport that operates alongside Killeen–Fort Hood Regional Airport. Rolls-Royce UltraFan® – The Ultimate Jet Engine and Lego Ultrafan in the flesh! @RollsRoyce, a video on Twitter by Andrew Smyth‏. Nine Aviation and Space Achievements Compete for the 2017 Collier Trophy [PDF] and GA Companies Among Those Vying for Collier Trophy. MH370: Malaysian military sidelines crash investigators as power play emerges on search team and MH370 conspiracy theory involves Seabed Constructor and chest from shipwreck. This entry was posted in Episodes and tagged A350, ADS-B, Airbus, ATIS, Boeing, China, Collier Trophy, MH370, passenger rights, Piper, Rolls Royce, Southwest, USAF on February 14, 2018 by maxflight. The NASA Chief Historian helps us look at some events from the past, anniversaries coming up, and what the future holds for NASA. Also, the International Trade Commission rules for Bombardier and against Boeing, more information about the pilot in the fatal Icon A5 crash, Putin wants a supersonic civilian airliner, and a look at big aerospace and defense deals in 2017. Bill Barry, NASA Chief Historian. Bill also tells us about the Space Launch System, the James Webb Space Telescope, and the emerging role of commercial space companies like Boeing and SpaceX. We touch on the change of the NASA administrator, and even jobs available at NASA through USAjobs. Bill has been NASA’s Chief Historian since 2010. He began work at NASA in 2001 after retiring from a 22-year career in the US Air Force. Bill worked in NASA’s international relations office for several years, and served as the NASA European Representative at the United States Embassy in Paris before being appointed NASA Chief Historian. A graduate, with honors, of the United States Air Force Academy, Bill also holds a Masters Degree from Stanford University and a Doctorate from Oxford University. Apollo’s Worst Day: Veterans of NASA’s moon program referred to it simply as “The Fire.” Did it have to happen? This excellent article by Andy Chaikin appeared in the Dec 2016/Jan 2017 edition of Air&Space Smithsonian. See also Apollo-1 (204) and The Accident, taken from the Report of Apollo 204 Review Board. Find more at the NASA History Program Office webpage, and follow NASA History on Twitter and Facebook. The Commission’s final report will be published by March 2, 2018, can be accessed on the USITC website. Vladimir Putin wants to build a civilian version of the Tupolev Tu-160 supersonic nuclear bomber as a supersonic passenger jet for wealthy customers. The United Aircraft Corporation has told Putin that designers already have a supersonic civilian airliner project. Pricewaterhouse Coopers reports that the global aerospace and defense industry saw $72 billion worth of deals in 2017. This betters the previous record of $67 billion set in 2015, and represents a whopping 79% increase over 2016. Nine deals with announced value greater than $1 billion accounted for 86% of the total value this year. Global Aerospace and Defense Deals Insights Year-End 2017 [PDF]. United Technologies’ $30 billion acquisition of Rockwell Collins tops the list, followed by Northrop Grumman’s $9 billion acquisition of Orbital ATK, Safran’s $8 billion acquisition of Zodiac Aerospace, and Thales’ $5 billion acquisition of Gemalto. Sixty-two dogs and cats were rescued from hurricane-battered Puerto Rico, courtesy of Southwest Airlines. AirSpace Podcast from the Smithsonian’s National Air and Space Museum. NP Simulations, the UK flight simulator company based in London. See the Remora Systems website to learn more. Submissions will be accepted through June 1, 2018. Five finalists will be chosen to pitch their ideas in front of a panel of expert judges. Interjet at IAH in 2015. Photo by Paul Filmer. 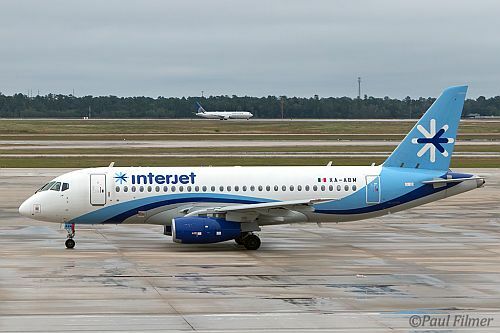 Interjet at Toluca. Mexico. Photo by Paul Filmer. Andrew Fisher made a 52-hour, 34-minute journey from Shanghai to Auckland to Buenos Aires to Amsterdam and back to Shanghai. The old record was 55 hours. Rocket Lab’s ‘Humanity Star’ is New Zealand first satellite and the Humanity Star website. This entry was posted in Episodes and tagged ADS-B, Boeing, Bombardier, EAA, Icon, Interjet, NASA, Russia, Southwest on January 31, 2018 by maxflight. FlightAware founder and CEO Daniel Baker talks about flight tracking technology. In the news, we look at the Dubai Airshow, aviation cybersecurity, the proposed Women in Aerospace Education Act, the GE Additive 3D metal printer, and a report from the Senate Republican Policy Committee on ATC privatization. 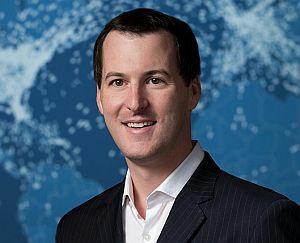 Daniel Baker is the founder and Chief Executive Officer of FlightAware, the flight tracking data company that provides over 10,000 aircraft operators and service companies as well as over 12,000,000 passengers with global flight tracking solutions. 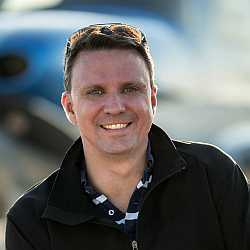 Flightaware founder and CEO Daniel Baker. Daniel was one of the principal developers of the FlightAware technology, and he now works directly with partners and customers in both industry (e.g., airline, cargo, business aviation) and government (e.g., air traffic management). FlightAware uses data from air traffic control systems in over 55 countries, from FlightAware’s network of ADS-B ground stations in over 150 countries, from Aireon space-based global ADS-B, and from the major providers such as ARINC, SITA, Satcom Direct, Garmin, Honeywell GDC, and UVdatalink. Daniel explains how FlightAware’s proprietary machine learning and rules engine called Hyperfeed takes data from multiple sources and fuses it together to create the best possible flight tracking information. About 10,000 messages per second are analyzed with over a thousand rules. Hyperfeed employs predictive analysis that looks at patterns in the flight tracking data. Some 13-14,000 ADS-B ground stations send data over the Internet to FlightAware. Complete FlightFeeder stations can be purchased, or you can build your own PiAware flight tracking station. We talk about satellite-based ADS-B through Aireon low-earth orbit satellites equipped with ADS-B receivers. These will provide flight tracking data for areas not covered by other means. Daniel also describes FlightAware TV, a custom, real-time FlightAware HDTV map for the office, hangar, or FBO. Daniel knows tech and has been in the Internet services business for over two decades. 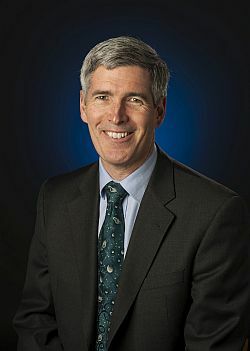 He is a regular speaker at aviation and technology conferences and serves as a member of the Board of Directors at the Smithsonian Institute’s National Air and Space Museum. He also holds an FAA Commercial Pilot certificate. Find the company at FlightAware.com, on Twitter and Facebook. FlyDubai ordered 175 Boeing 737 Max planes with options for another 50. Boeing said it was the biggest order ever from the Middle East for single-aisle passenger planes. Altogether, the 225 firm and option aircraft have a total value of $27 billion at list prices, and include more than 50 Max 10s, with the rest Max 8s and 9s. Airbus sold 430 A320neo family jetliners to Indigo Partners. 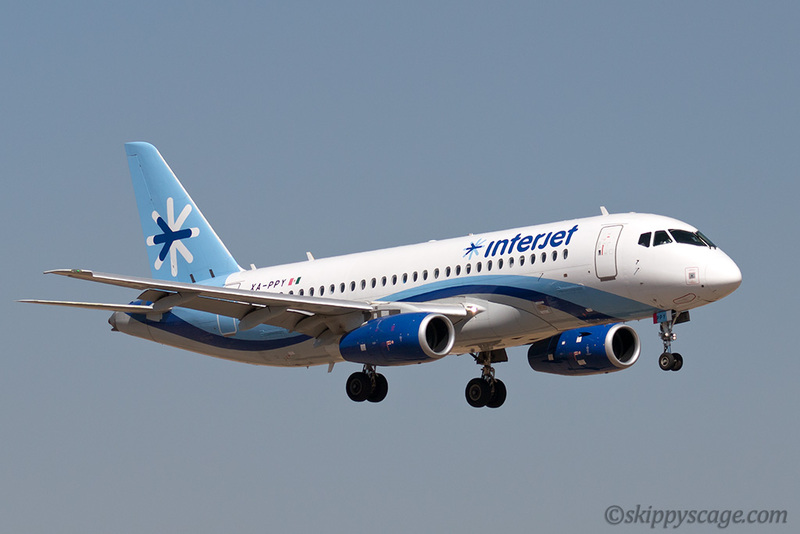 The planes will go to four Indigo companies: Frontier Airlines, Volaris, Wizz Air Holdings Plc, and JetSmart. That deal was valued at roughly $50 billion at list prices. Boeing also booked an order for forty 787 planes, worth $15 billion at list prices, with Dubai’s Emirates airline on Sunday. In a deal valued at $1.9 billion, Azerbaijan Airlines ordered five Boeing 787-8 aircraft and committed to two freighters. In addition, Azerbaijan Airlines became the launch customer for Boeing’s 787 Landing Gear Exchange Program. Bombardier signed a letter of intent with EgyptAir for 12 firm CSeries CS300 aircraft with options for 12. The Washington think-tank Atlantic Council released the report Aviation Cybersecurity: Finding Lift, Minimizing Drag which describes an International Civil Aviation Organization (ICAO) assessment on cybersecurity threats to ADS-B is “dismissive.” The study indicates that the aviation industry will likely experience cybersecurity challenges similar to other industries that have embraced the “digital revolution.” Previously, aviation systems were relatively secure due to the bespoke nature of their design, isolation from other systems, and little in the way of communication protocols. But air traffic management is no longer isolated, and ground services and supply chains are becoming fully integrated into an interconnected digital world. The GE Additive business unit of GE has a 3D metal printer capable of making aircraft parts as large as one meter in diameter. A metal powder is fused with a 1-kilowatt laser in thin layers to “print” the part. Since the machine is scalable, it should be capable of even larger parts. Air traffic control currently relies on outdated ground radar systems that cause delays throughout the aviation system. The FAA is transitioning to NextGen technology, which has several components designed to allow safer and more efficient airspace management, including a switch to GPS. Deployment of many NextGen components has been delayed and is expected to cost $2.6 billion more than planned. British Airways helps a man recovering from a brain injury to rejoin the world of commercial flight. More than 800 family, friends, and active duty and retired service members gathered in Concord, Mass., Nov. 16, 2017, to pay their final respects to retired Capt. Thomas J. Hudner Jr., who earned the Medal of Honor during the Korean War.Hudner passed away Nov. 13, at his home in Concord. He was 93. This entry was posted in Episodes and tagged 3D printing, ADS-B, Airbus, ATC, Boeing, British Airways, CSeries, Dubai, flight tracking, FlightAware, GE, security, women in aviation on November 22, 2017 by maxflight. A perspective on the pilot shortage from an Army aviator in Afghanistan and his thoughts on flying in combat, bringing a biz jet to the Reno Air Races, aviation humor from the M&R Joke Hour, and an interview with the COO of uAvionix on ADS-B equipment for manned and unmanned aircraft. 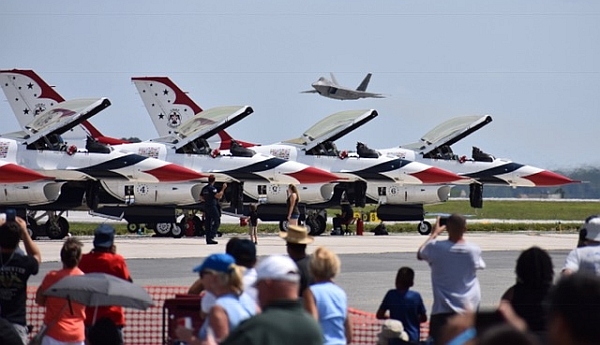 The Thunderbirds, an F-22, and actual people. Photo by David Vanderhoof. This entry was posted in Episodes and tagged ADS-B, Dassault 7x, humor, pilot shortage, uAvionix on September 6, 2017 by maxflight. We have a collection of aviation topics this episode: A flight in a Robinson R-44, a look at residential airparks, the General Atomics MQ-1C Gray Eagle UAS, imaging instruments for aviation maintenance, US Air Force F-35A avionics and a walk around the aircraft, the Commemorative Air Force, honoring the Women Airforce Service Pilots, and using a portable ADS-B receiver. As long-time listeners know, when our recording day falls on a major U.S. holiday, we forgo our usual format and instead bring you a collection of pre-recorded segments from the co-hosts, and from our listeners and contributors. That’s the case this episode. Ernie Eaton and our Main(e) Man Micah. Residential airpark living. Photo courtesy Big South Fork Airpark. 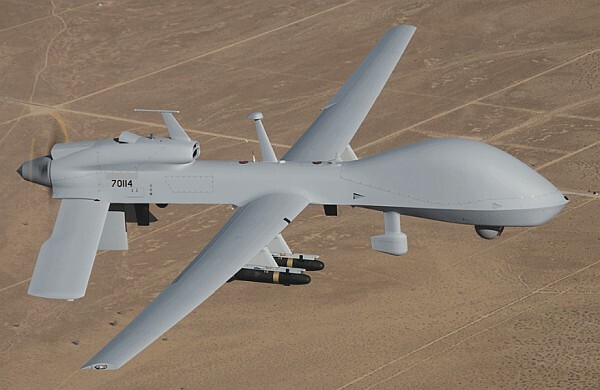 General Atomics MQ-1C Gray Eagle UAS. Photo courtesy General Atomics. 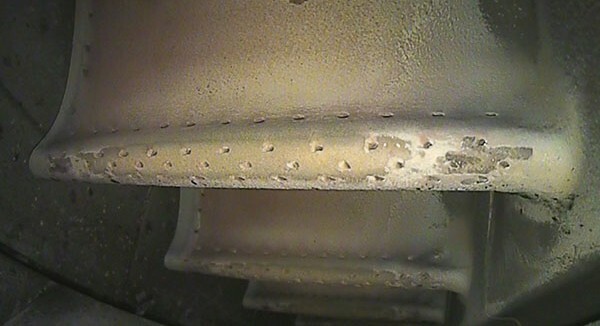 Jet engine turbine blade inspection. Photo courtesy Olympus Industrial Measurements. The F-35A at the 2017 Wings Over Pittsburgh Airshow. Photo by Carlos Stebbings, Plane Talking UK Podcast. Carlos and Matt from the Plane Talking UK Podcast pulled together a video presenting many of the faces at the Wings Over Pittsburgh air show. Have a look and see how many (sunburned) people you recognize from Airplane Geeks, the Airline Pilot Guy Show, the Plane Talking UK Podcast, as well as friends of the podcasts. 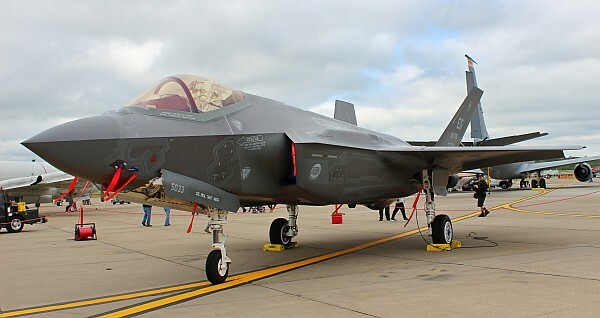 This entry was posted in Episodes and tagged ADS-B, airpark, airshow, Bits & Pieces, CAF, F-35, General Atomics, Olympus, Robinson on May 31, 2017 by maxflight. A roundtable discussion of current aviation news, issues, and topics from our listeners. They include: the effects of the U.S. immigration ban on airlines and airports, the impacts of new executive orders on regulations like 3rd class medical reform, the bad news for Santa Monica airport, American Airlines passes on in-seat screens, another airline is grounded by a computer problem, clarity on ADS-B for non-electric aircraft, a review ordered of the F-35C and the F/A-18 E/F Super Hornet. Also, glass cockpit vs. round gages, the 2017 Aerospace Media Awards, a warm airline story from Alaska, exploding airline tires, and the Global Supertanker 747 in action. Jodi Bromer, #AvGeek, EMS pilot. President Trump signed an executive order that fulfilled a campaign promise for new immigration policy. The order restricts immigration from seven predominantly Muslim countries, it shuts off refugee admission for 120 days, and bans admission of Syrian refugees until further notice. This caused a certain amount of confusion among airlines, airports, government agencies, and the public. Demonstrations against the change broke out at many airports. Among other provisions, this executive order requires that for every new regulation issued, at least two prior regulations must be identified for elimination. How this impacts an agency like FAA is uncertain. The Trump administration has ordered that no new regulations be published in the Federal Register. Also, that regulations that have been issued, but not yet taken effect, are pushed out 60 days. What does that mean for third-class Medical Reform, and the recently finalized Part 23 small aircraft certification regulations? American Airlines believes in-seat entertainment screens are a technology without a future. So rather than install screens in the seats of its Boeing 737Max airplanes, the airline will offer passengers free entertainment they can watch on their mobile phones, tablets, and laptop computers. The ADS-B Out rule takes effect January 1, 2020. If your airplane was originally certified without an electrical system, the rule doesn’t apply. But what if that same aircraft subsequently had batteries and an electrical starter installed? POTUS vacations at his Mar-a-Lago estate in Palm Beach. About 8 miles away is the Palm Beach County Park Airport, also called Lantana Airport. County commissioners are learning that they’ll have to abide by the wishes of the Secret Service, and they are worried about the financial impact of operating restrictions. Delta Air Lines experienced a computer problem that grounded U.S. domestic flights for 2 1/2-hours. About 170 flights were affected. A Pentagon review of the capabilities and cost of two aircraft has been ordered by Defense Secretary James Mattis. He wants to compare the Lockheed Martin F-35C Lightning II Joint Strike Fighter and an upgraded version of the Boeing F/A-18 E/F Super Hornet. President Donald Trump says that Lockheed has cut $600 million from the program cost for the F-35. This would be for the 90 planes of LRIP Lot 10 (Low-Rate Initial Production). Fabian, a 23 year old Aerospace Engineering & ATPL Student from Germany provides feedback on Micah’s piece last episode on the death of Gene Cernan. Hidden Figures, the movie about Katherine G. Johnson, Dorothy Vaughan, and Mary Jackson – three African-American women who worked at NASA at the beginning of the U.S. manned space program. Air Facts Journal, the journal for personal air travel – by pilots, for pilots. 2017 Aerospace Media Awards. The closing date for nominations is Friday 24th March 2017. Delta flight makes unexpected landing in Cold Bay, FAA points to engine trouble. See also the picture album. Il-76 in action fire fighting in Chile. This entry was posted in Episodes and tagged ADS-B, American Airlines, Delta Air Lines, F-35, medical, regulations, Trump on February 1, 2017 by maxflight.